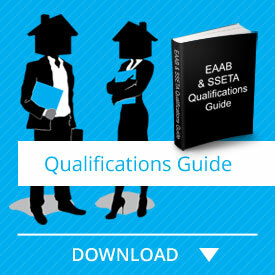 Welcome to the RPL process for NQF5 Real Estate! This qualification is for any individual who is already involved in the property and real estate industry, and it serves to support and advance real estate agents to principal agents who manage a real estate business. In order to qualify for RPL in your NQF5 you must be a registered FFC holder, have proof of managing an agency and be competent in FETC: NQF4 Real Estate & PDE4. If you believe that you should qualify for RPL, then please complete this form and return it to our office for approval. If you have the above credentials then let us help you through the NQF5 RPL course! The purpose of this RPL Portfolio Guide is to provide you with guidelines on the preparation and presentation of the RPL Portfolio of Evidence (PoE) for assessment purposes. PropAcademy is an accredited assessment centre. How long will this take me is key – and this depends very much on how structured your study time is and how quickly you can collect your evidence. You should take 12 weeks to compile your PoE and once done your file will be assessed by PropAcademy, moderated by PropAcademy and verified by SSETA. This process could take 9 months and thereafter it could take SSETA a further 3 months to issue you with a certificate of competency. At PropAcademy we successfully strive to lessen these time periods. If you believe that you should qualify for RPL, then please complete this form and return it to our office for approval. If you qualify for RPL then click the “Take this Course” button below ensuring that you will be qualified as a Real Estate Property Practitioner in record time! Orientation Guide: PropAcademy will ensure that you understand the requirements of the course before getting started. The Orientation guide is easy to follow with pre-recorded webinars that you can access on your profile at any time, making study time more convenient. Our friendly staff are also available should you feel the need to have a one on one. This guide must be printed, completed and filed in your PoE. Learner Guide: This is an add-on resource for your convenience.